The Armour-Stiner (Octagon) House is one of the most visually unique homes in the world. It is the only known fully domed octagonal residence and the only house built in the form of an ancient classical temple. The Octagon House was originally built in the 1860s by Paul J. Armour, a New York City financier. 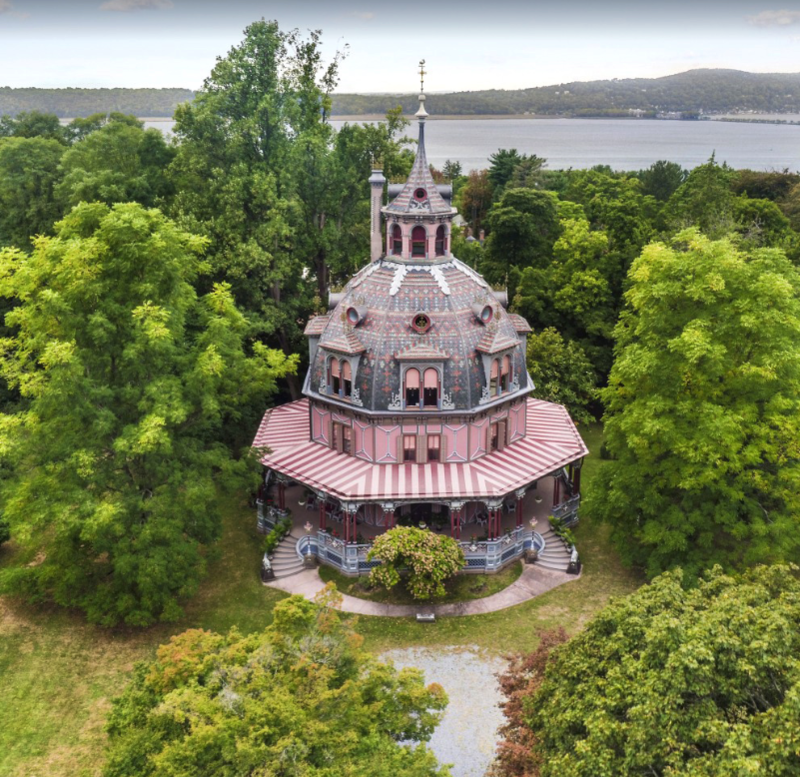 In this pre-Civil War period octagonal houses were a popular mode of construction following the publication of a book, The Octagon House, A Home for All, by Orson Squire Fowler, a phrenologist, sexologist and amateur architect. In 1872, the house was purchased by Joseph Stiner, a prominent New York City tea merchant. His alterations created the present unique structure. With plans to use the house as a summer retreat, Stiner added the dome and the verandah to create a classical, elaborately detailed Roman temple. The home's current owners offer guided tours for a fee. Please see their listings here.